November and December were busy months for me as the Animal Print orders steadily trickled in. 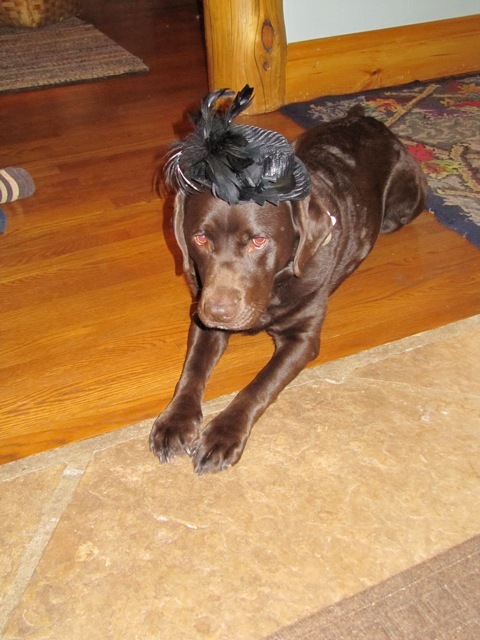 A long-time Gadora reader, Ann, sent a request for her husband’s 60th birthday. 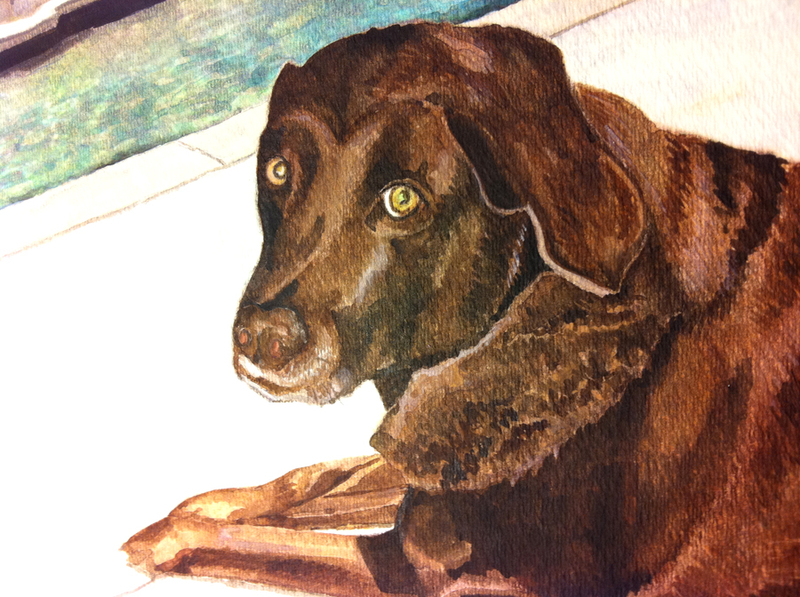 Would I paint their two Chocolate Labs? It came with an inquiry about my own dearly departed (and once doted on) kitties. How was I doing since they were gone? I rather adore this woman. She’s quick to comment and share her design (and personal thoughts) and as such I feel sure we are kindred spirits. I’m typically quite reluctant to post any Animal Prints on Gadora before they are received. Online posts are deceptive as the watercolors are infinitely more interesting (and detailed) in person (…and I hate to ruin any surprise). But Ann’s portraits went to Colorado while she flew off to Florida to tend to her family. We enjoyed (or at least I did) a month of correspondence while picking just the right photos to work with. 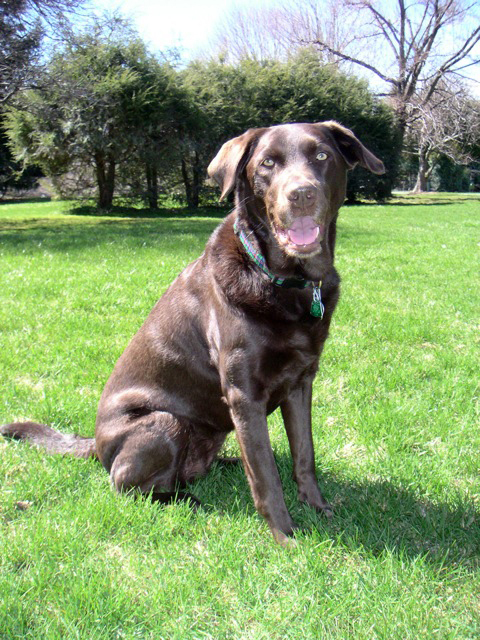 “Cody is the love of my husband’s life. She is 9 and a half. Actually will be ten January 30th. He is worried that she will be gone before he retires.” Oh no, we will not have that! 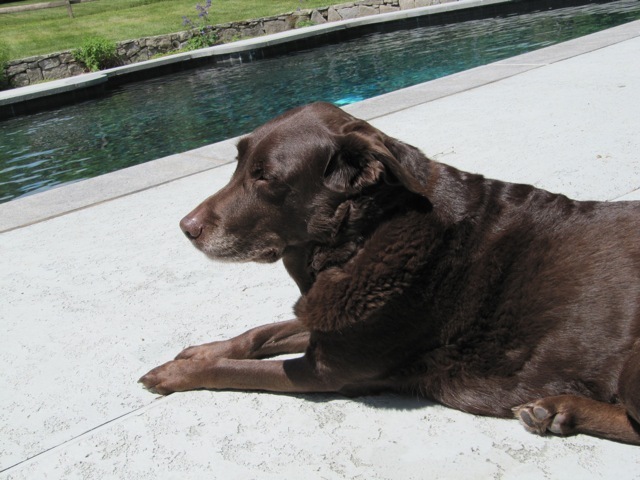 Cody chills poolside in the picture that inspired her Animal Print. 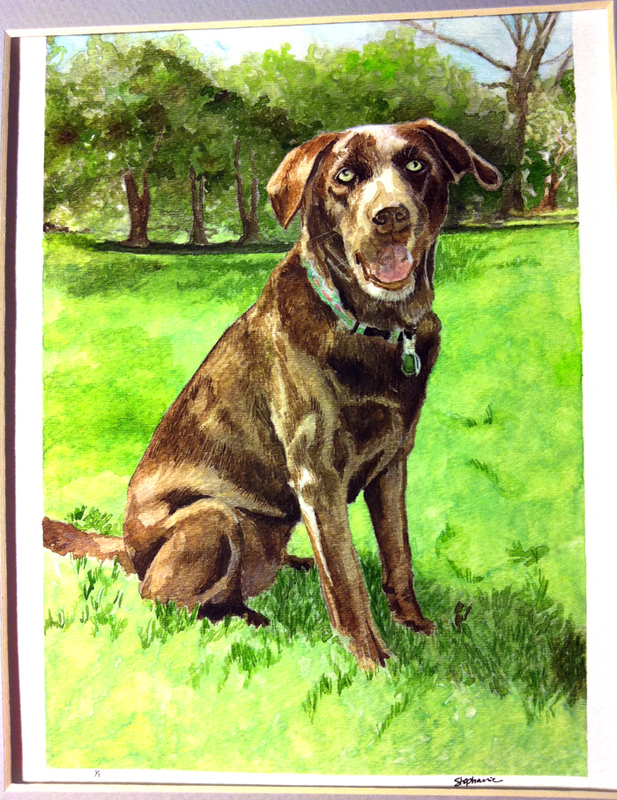 And Hazel in the grass. 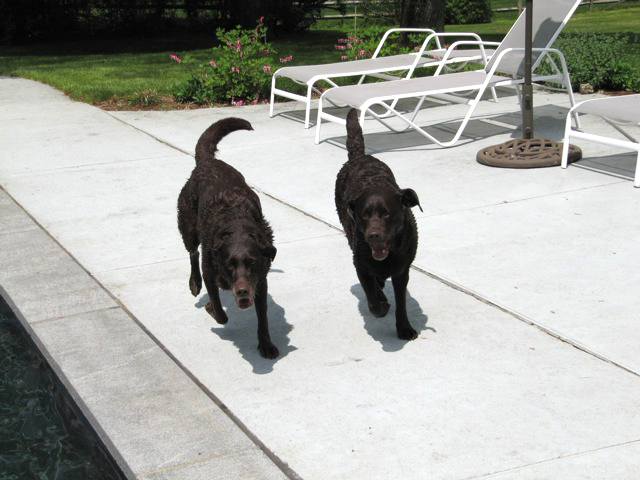 “My husband likes to say, “I have a dog that acts like a rascal (Cody), and a rascal that acts like a dog (Hazel).” Here they are doing laps around the family pool. No running around the pool, kids! The second I press “post” Ann will receive this blog entry in her inbox. ** The pressure is high, as it may be some time before she and her Birthday Boy will get to hold these portraits in their hands. Ann, dear, when the dust settles let me know what you think. You will love them in person. Thinking of you this holiday season, and wishing you health and warmth and all the goodness you can possibly stand. Very. **Ann signed up to get Gadora in her box. 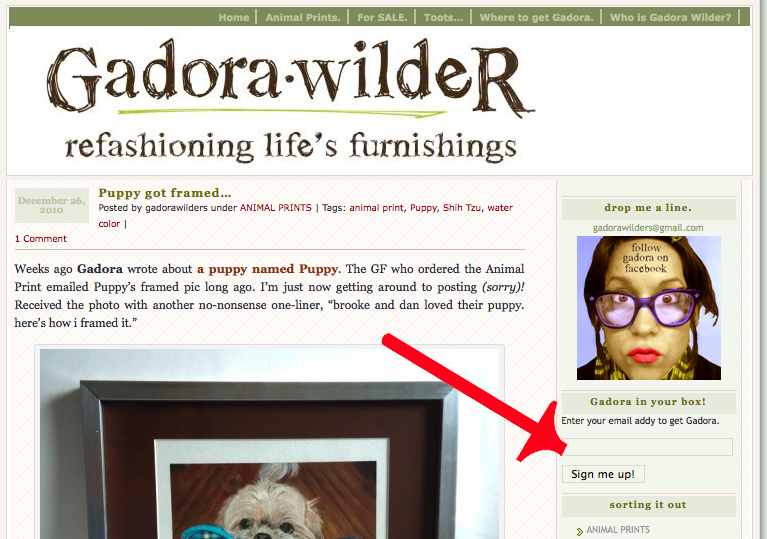 I realize YOU may have missed that, and since I KNOW you don’t want to miss your musings from Gadora (ahem…. Father!!! ), you can sign up too — right from the home page. 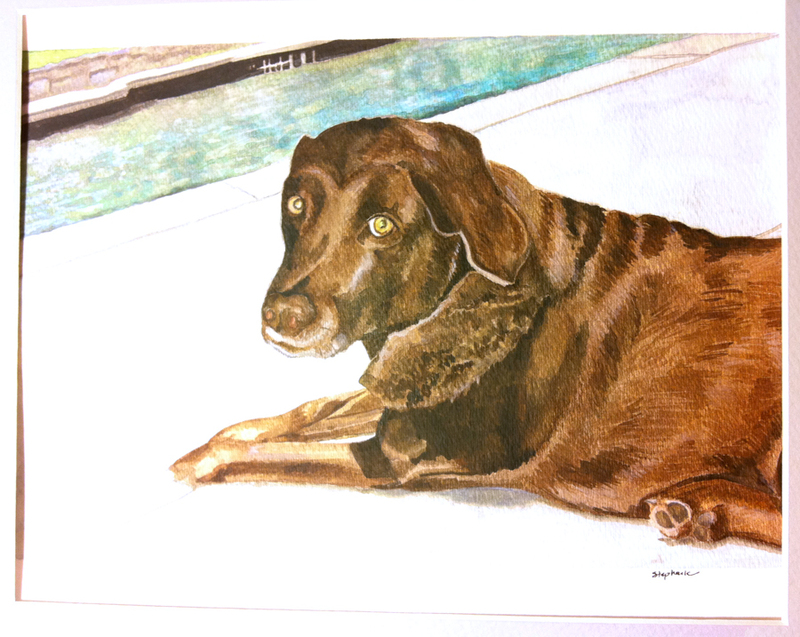 Posted on December 26, 2010 July 1, 2012 by gadorawilderPosted in ANIMAL PRINTSTagged animal print, Chocolate Labrador, Golden Retriever, water color. Next Next post: Bouldin Creek’s new home… A bittersweet gulp.